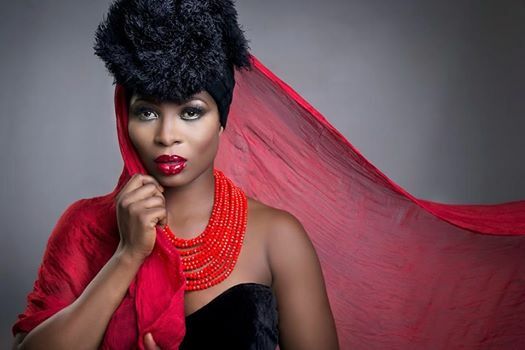 Actress Gloria Sarfo will definitely mark this day (June 30) as one of her worst days in her life because what wen down on Facebook was appalling. 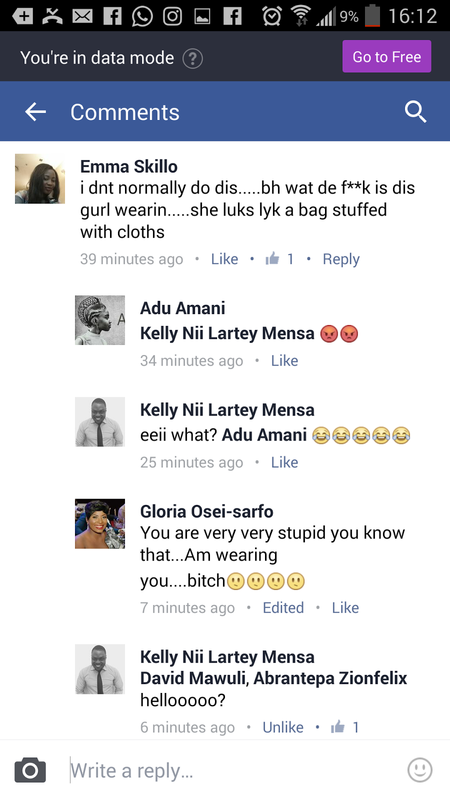 In a Facebook post by Kelly Nii Lartey Mensa, which sought to find out what’s wrong with a a costume the actress was wearing turned bizarre in the end. And one of his friends called Emma Skillo jabbed her for putting on that costume which raised the questions. “I dnt [don’t] normally do dis [this]…..bh wat de f**k is dis gurl wearin [but what the f**k is this girl wearing]…..she luks lyk [looks like] a bag stuffed with cloths,” she wrote. But she didn’t go scot-free for such comments. Unfortunately, Gloria was tagged and she also dropped bomb in response. “You are very very stupid you know that…Am wearing you….b*tch” she fired. She didn’t end there — more followed. She was so pissed she couldn’t end the fight easily. Another bomb followed. Do you think her comments were necessary as a celebrity?